Time to get stinky! Really. SK&H has compiled a list of fun things to do this weekend that include the annual and always fun Elephant Garlic Festival in North Plains. This weekend’s offering are full of family friendly activities that everyone can enjoy including street fairs and one of the most spectacular ways to take in the best views of our city, the bridge-friendly Bridge Pedal. The 19th Annual Alberta Street Fair offers an eclectic mix of activities and events that could only be found on Alberta Street and showcases the best of the Alberta Street community. The annual event focuses on local products, artists, crafts, and foods. The fair includes an 11 a.m. kids’ parade, a kids’ corner, a beer garden, and three stages of entertainment. And it’s one of the best ways to meet your neighbors and fellow Portlanders. At Unger Farms’ “Savor The Summer” event you can kick back and enjoy live music, local wine, beer and cider, and treats from the farms delicious Berry Cafe located in Cornelius, Oregon. Wine tastings will be taking place both nights at starting at 7 pm with featured wineries David Hill, Oak Knoll and A Blooming Hill. Just a short drive over the Columbia River, the Vancouver Brewfest is the place to be this weekend to taste an ample amount of locally brewed beer from both Washington and Oregon state. Alongside the brewskis, the festival will also offer up wine, cider, food, live music, and craft vendors. It all takes place at downtown Vancouver’s beautifully spacious Esther Short Park. Where is the one place in Oregon where “fun stinks”? That would be the fun and funky Elephant Garlic Festival in North Plains. This 19th annual smelly fest features garlic-flavored foods, arts and crafts. What doesn’t stink like ripe garlic? The music and all the other fun stuff to do for the entire family. Learn about fossils at Northwest Fossil Fest, which features lectures, displays, kids’ activities, and free entry to Rice Northwest Museum of Rocks & Minerals. 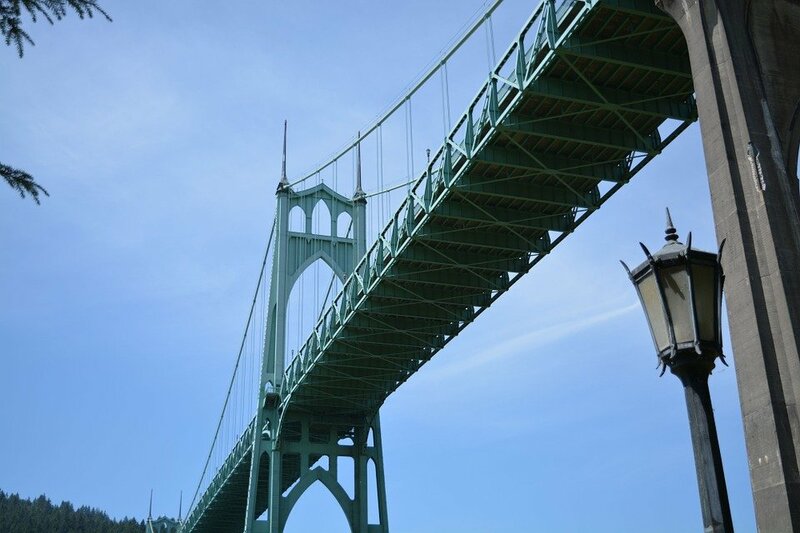 Bridge Pedal is a 5-mile walk or 3 to 37 mile ride with stunning views from Portland bridges. Register early, and bring a helmet. Experience the sights, sounds, and tastes of India at India Festival at Pioneer Courthouse Square. With performances, food, and vendors, it’s sure to be a good time.